The borough's MPs have given very different verdicts in the latest set of indicative votes on Brexit. Parliament was asked to consider four options: one to negotiate a "permanent and comprehensive" customs union with the EU, one to ensure the UK is a member of the European Free Trade Association (Efta) and the European Economic Area (EEA), one requiring any Brexit deal to be put to the public for a confirmation vote, and one to extend article 50 and give parliament the right to decide what happens next. 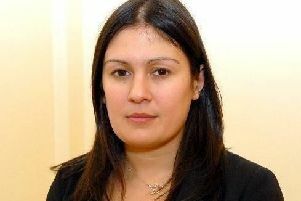 Wigan MP Lisa Nandy voted in favour of three proposals: the one on the customs union, the one on being in Efta and the EEA and the one to extend article 50 and strengthen parliament's power over the process. She did not give a vote on putting any Brexit deal back to the public. Makerfield MP Yvonne Fovargue only backed one proposal, the customs union, while voting against the other three options. Leigh MP Jo Platt voted in favour of the customs union and being in Efta and the EEA, while not giving a view on the other two proposals. Conservative MP for Bolton West Chris Green, whose constituency includes Atherton, voted against all four proposals. MPs could not reach majority support for any of the four proposals, causing considerable doubt on the way forward on Brexit.